These days, electric garage door openers are really smart. They have tremendous capacities but still the necessary safety features so that they can protect people from accidents. They can actually send out a warning saying that something is wrong with the reverse mechanism or someone is standing under the door and this is extremely important. The presence of sensors is extremely important but they must also be properly installed and immediately fixed should they have problems. Sensors are placed at the lower parts of the two sides of the door on purpose. They must be able to detect one inch objects in order to reverse the door and avoid impact. For this reason, they are installed six inches over the floor, are plugged in and are connected with the garage door motor. Problems can start when their wires are damaged or disconnected, the sensors are misaligned or the brackets holding them in place are loose. 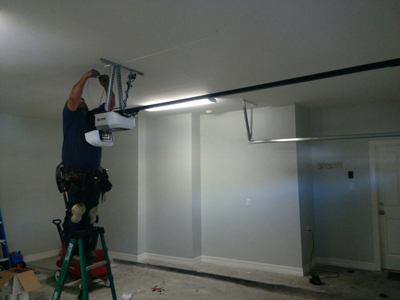 There are several garage door repair services related to sensors. The most common problem people are faced with is related to the door going down and moving back up again. In this case, the light on the opener unit will flash warning you that one of the sensors is not aligned. If you look at the sensors, you will see that there is an orange light on one of them and a green light on the other sensor device. If the green light is off, for example, try moving just slightly the sensor with your hands until the light comes back on. This is an easy fix. If you want to be sure that the problem won't be repeated the following day, it's best to align well both sensors and tighten them better. 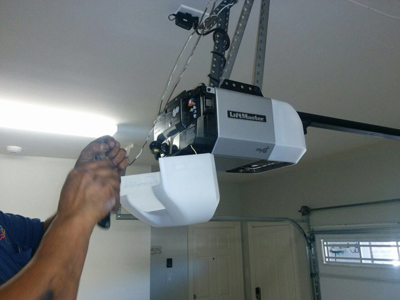 Sometimes, garage door opener sensors are misaligned due to loose brackets. Mounting brackets might be pushed and lose their original position dragging the sensors with them. In this case, you will have to fix the brackets, make sure they are fastened well and then align the sensors. When the sensors are aligned and the reverse system works, safety is ensured. This is why you must check the system often. There are two ways to do that. With the first test, you actually check the reverse mechanism and the test includes holding the bottom part of the door as it is closing down. The next test puts you right in action since it involves putting an object under the door. Normally, the door should reverse in both cases. If it's not, don't hesitate to call Garage Door Repair Otsego. When the door keeps reversing, one way to close it down is to press with persistence the wall switch opener button. The door will close down but this is a sign that there is something wrong with the sensors. If they are aligned, check if they are clean. This is the easiest solution. Dirty lens keep the photo eyes from communicating with each other. Such a simple issue can create a great problem and that's why it is important to keep the lenses perfectly clean. For similar reasons, keep them out of the sun's sight. Too much exposure to the sunlight can confuse the beams and the sensors won't work right. An easy way to deal with this problem is to get a round tube to cover the sensors or create a small umbrella, but under no circumstances must you hide the lenses. If nothing else works, think of the possibility that the wires are damaged. They might even be disconnected from the door operator terminals. Sections of the wires might be broken or seriously worn. In this case, you will have to replace them. Don't forget to check the end parts of the wires at the terminals in the opener unit and make sure all connections are right and the terminal screws are tightened.